Dave Kapczynski of Ellensburg, Washington, snaps a picture of an oversized load of water purification equipment at the Town Pump Truck Plaza parking lot in West Riverside on Wednesday (Missoulian/Thom Bridge photo). An oil sands water evaporator dressed like a giant spaceship spent Halloween in the parking lot of the Town Pump Truck Plaza in West Riverside. Shutterbugs and employees and patrons from the River City Grill stopped throughout the day Wednesday to feast their eyes on the monster megaload destined for a Sunshine Oilsands facility in northeastern Alberta. An Oregon moving company, Omega Morgan, is transporting the 265-ton vessel across Montana in five after-dark moves that started Monday night near Lolo Hot Springs. It began its overland journey from the Port of Wilma in Washington ten days ago. The Montana Transportation Department issued a 32-J oversized load permit for the load Friday. Sunshine Oilsands Ltd. in Calgary owns eight lease sites in the Fort McKay area, some 300 miles northeast of Edmonton in the massive Athabasca oil sands region. It’s less than 30 miles from the Kearl Lake area, the destination of hundreds of loads of processing equipment shipped through Montana in the past year by Imperial Oil/ExxonMobil. A megaload carrying American-made water purification equipment left Idaho and entered Montana early Monday morning. The oversized shipment spent close to seven days getting across the state of Idaho on U.S. Highway 12, including Friday evening and Saturday morning when travel was suspended because of snow. Idaho Transportation Department (ITD) rules limit travel to between 10 p.m. and 5:30 a.m. when traffic is the lightest. The rig, which takes up two lanes of traffic, departed from milepost 143 on Saturday and got to milepost 160 Sunday morning, two miles shy of Powell, said ITD spokesman Adam Rush at Boise. KRFP Radio Free Moscow talks with Fighting Goliath anti-megaload activist Borg Hendrickson about the ownership and destination of the Omega Morgan-hauled oversized module on Highway 12 last week, highlights the historical significance of this Alberta tar sands transport, discloses Utah issuance of the first tar sands mining permit in the U.S., and notes the 7.7 Richter-scale earthquake on the British Columbia coast, near proposed tar sands export shipping lanes. Listen to Activists Believe They Know Owner of Mystery Tar Sands Megaload and other news between 20:47 and 10:04 of the Monday, October 29, KRFP Evening Report, Possible Megaload Owner. Some of the biggest coal companies in the world plan to strip-mine more Montana and Wyoming prairie and transport coal on 50-plus trains per day through Montana’s largest towns, around remote northern Idaho lakes, through eastern Washington river valleys, to ports on the coasts of Oregon and Washington, en route to China. 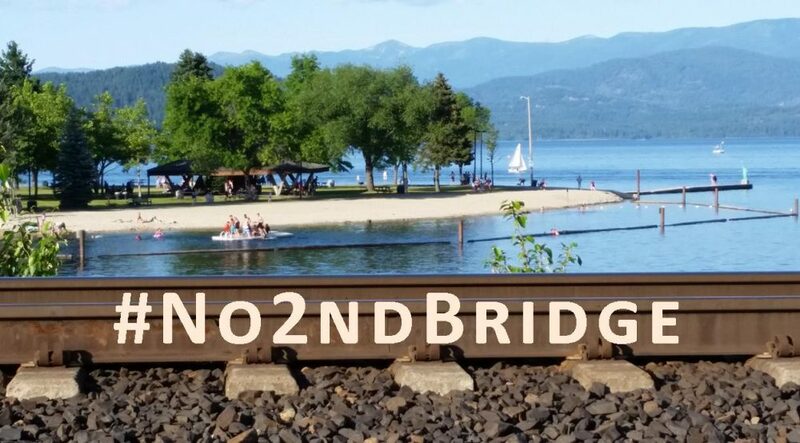 In their quest for huge corporate profits from these exports, the coal and rail industries disregard their multiple impacts on regional residents and businesses, our quality of life, and our beautiful Pacific and Inland Northwest. What do communities do when our environment is attacked? STAND UP! FIGHT BACK! Please join activists from Bellingham, Missoula, Moscow, northern Idaho, Portland, Seattle, and Spokane on Saturday, November 3, in Spokane, Washington, as we share experiences, brainstorm, and develop strategies to protect our health and environment by standing up and fighting back against Big Coal. This event hosted by Occupy Spokane and Wild Idaho Rising Tide for concerned citizens throughout the region and facebook groups Cascadians Against Coal, Coal Port Resistance Solidarity Network, Free Cascadia!, and Stand Up Fight Back Against Big Coal in the Northwest offers breakfast at 10:00 am, introductions at 11:00 am, and an inspiring day of discussions and presentations at 1824 E. Sprague Avenue, formerly the Rainbow Tavern. For accommodations, further information, or to RSVP, contact the Occupy Spokane Clubhouse at 509-535-4040 or ocspch@gmail.com and join the facebook group Stand Up Fight Back Against Big Coal in the Northwest at https://www.facebook.com/groups/369381406473710/. Spread the word about this gathering! An over-legal shipment will be traveling along U.S. Highway 12 through Idaho County, tentatively set to cross the border into Montana late Thursday night or early Friday morning. And activists opposing the shipment won’t be far behind. 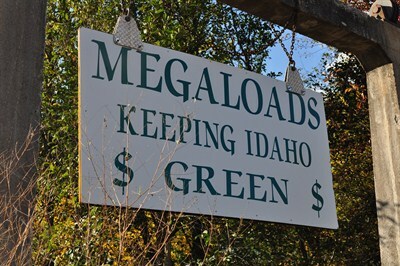 The Thursday, October 25, 2012, KRFP Radio Free Moscow Evening Report, Mystery Megaload Slow, describes the circumstances of the half-million-pound module hauled by Omega Morgan across Idaho on Highway 12 and airs conversations among Wild Idaho Rising Tide activists while they monitor its convoy on Tuesday night, October 23-24. Listen to between 14:05 and 4:02 of Megaload Owner Still Unknown for more information about the module and its Alberta tar sands destination. A barge pushes Alberta tar sands water treatment equipment manufactured in the Portland, Oregon, area up the Columbia and Snake Rivers to the Port of Wilma near Lewiston, Idaho. A water treatment module of unknown ownership awaits transport by Omega Morgan from the Port of Wilma, Washington, to Fort McMurray, Alberta (Barry Kough photo). 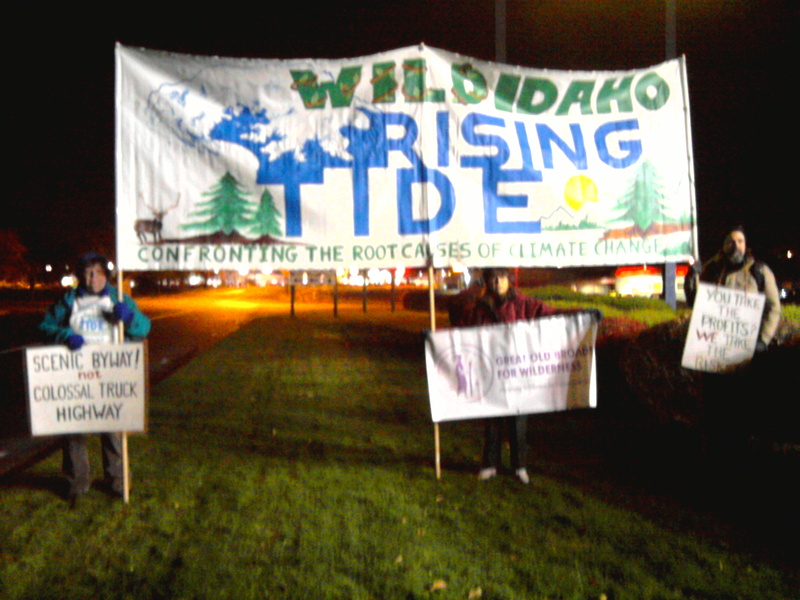 Wild Idaho Rising Tide activists demonstrate resistance to the first Alberta tar sands megaload to successfully cross Idaho and Montana via the Highway 12 wild and scenic river corridor through the largest wildlands complex in the lower 48 states.